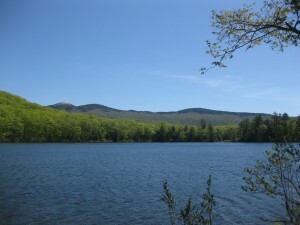 The Land Trust Accreditation Commission, an independent program of the Land Trust Alliance, has awarded accredited status to the Upper Valley Land Trust, the regional land conservancy that serves New Hampshire and Vermontâ€™s Upper Connecticut River Valley. The Upper Valley Land Trust serves 44 towns throughout the Valley in New Hampshire and Vermont.Â Since its founding in 1986, UVLT has worked with private landowners, towns, community groups, and conservation partners to permanently protect 434 properties encompassing 42,300 acres of land in the region, including working farms and forests, critical habitat and water resources, keystone scenic parcels, and favorite recreational lands and trails. Community leaders in the 1,700 land trusts throughout the country have worked with willing landowners to save over 47 million acres of farms, forests, parks and places people care about. Strong, well-managed land trusts provide local communities with effective champions and caretakers of their critical land resources, and safeguard the land through the generations. Accredited land trusts are able to display a seal indicating to the public that they meet national standards for excellence, uphold the public trust and ensure that conservation efforts are permanent. The Land Trust Accreditation Commission, based in Saratoga Springs, N.Y., awards the accreditation seal to community institutions that meet national quality standards for protecting important natural places and working lands forever. The Commission, an independent program of the Land Trust Alliance established in 2006, is governed by a volunteer board of diverse land conservation and nonprofit management experts from around the country. The Alliance, of which the UVLT is a member, is a national conservation group based in Washington, D.C. that works to save the places people love by strengthening conservation throughout America. More information on the accreditation program is available on the Commissionâ€™s website, www.landtrustaccreditation.org, and information on the Alliance is available at www.landtrustalliance.org.